The Cleveland Cavaliers must begin looking for trade partners for Kevin Love. He may not be dealt until the trade deadline, but preliminary discussions should be started now. One of the teams that has been rumoured to be interested in Love is the Portland Trailblazers, and they could put together a solid package for Love. In negotiations, Cleveland should search for a combination of solid young players and future first-round picks. Ideally, the Cavs would be able to get a young player who is already proven such as Brandon Ingram, but since the Los Angeles Lakers have refused to give him up in talks for the San Antonio Spurs’ Kawhi Leonard, it’s unlikely that he would be on the table for Love. The Trailblazers are a very good team that has been overtaken by the likes of Houston and Golden State in the Western Conference. In order to keep pace with the Rockets, Warriors, and now, the Lakers, the Trailblazers need a third star to pair with Damian Lillard and C.J. McCollum. Love seems like the perfect fit. One of the most prolific point guards in the game, Lillard has never played with a top-tier big man. Jusuf Nurkic is a fine center, but he’s not on the same level as Love is. Love isn’t known as a fantastic pick-and-roll threat due to his less than ideal physicality, but that’s not what Portland would need him to be. Lillard and McCollum are both solid outside shooters, but they are at their best when driving to the basket. The Trailblazers’ starting big men, Nurkic and Al-Faroq Aminu, shot 0% and 37% from beyond the arc, respectively. Nurkic attempted essentially zeeo three-pointers, but the point still remains. That lack of spacing has stifled Portland’s offense, and adding Love would change that. Aminu is really more of a small forward than a power forward, given his 6’9″ 220lbs frame. He is a solid player, but one that is better suited coming off the bench. Moving Aminu to the second unit and inserting Love into the starting lineup would give the Blazers a true post-up threat, excellent floor spacing and three-point shooting, fantastic outlet passing, and elite rebounding. Love is also just 29 and has a player option for the 2019-2020 season, and could very well re-sign long-term in Portland, as he grew up in Lake Oswego, Oregon. The Trailblazers aren’t exactly overflowing with assets at the moment, but they have enough to make the Cavs a solid offer. Any deal would need to include an unprotected future first-round pick; perhaps Portland’s 2022 selection would suffice. After that, the Blazers would need to send enough salary back to the Cavaliers to match (give or take a few hundred thousand dollars) Love’s salary. Love will make $24.1 million in 2018_2019, so Evan Turner and his $17.9 million salary would need to be sent to Clevelans in order for the trade to work. However, because of his contract, Turner is a negative trade asset, so Portland would need to send an additional draft pick to the Cavs, something like a top-five protected 2020 first-round pick will work. There is still a ~$6 million discrepancy in this trade, so more players will need to be sent Cleveland’s way. Zach Collins and Caleb Swanigan will cover salary and give the Cavaliers two more good, young prospects. Collins was the 10th overall pick in the 2017 NBA Draft but didn’t get much playing time during his rookie year, averaging 4.4 points in 15.8 minutes per game. His high sslecgios was warranted; he is a seven-footer who is a skilled rebounder, solid defender, and deveting outside shooter. The Cavs already have Any Zizic as their center of the future, but Collins has the potential to be a more versatile player, and there’s not harm in having more than one prospect at a position this early into a rebuild. That “the more the merrier” mindset manifests itseld in the third and final player heading to the Cavaliers, second-year power forward Caleb Swanigan. The wine and gold have Larry Nance Jr. Entrenched at minimum as one of the first players off the bench, as well as former five-star recruit Billy Preston, but Swanigan would be a welcome addition to the team. The 26th overall pick in 2017 has the game and build of a classic 4. He likes to post up, battle for rebounds, and takes nearly all of his shots in the paint. Swanigan won’t space the floor at all, but he has the potential to become a very effective two-way player. He may not be the perfecy fit for today’s NBA, but physiy players are always in demand, and that’s exactly who Swanigan is. 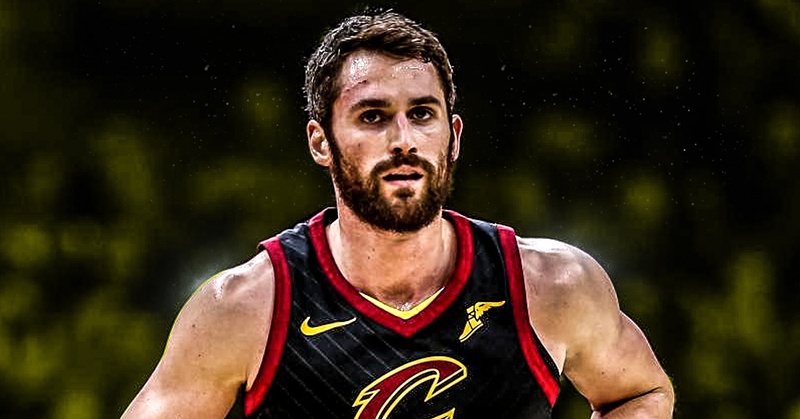 Two future first-round picks from a playoff team, two decent prospects, and one bad contract may seem like a poor return for an All-Star, but Cavs fans shoysh temper their expectations for s Love trade. A package like this is very realistic, as, from evrytevery we know, Love’s value is not very high because of his role the past four seasons in Cleveland. That could change in the first half of this year, but it’s hard to see him fetching a package much better than this one.